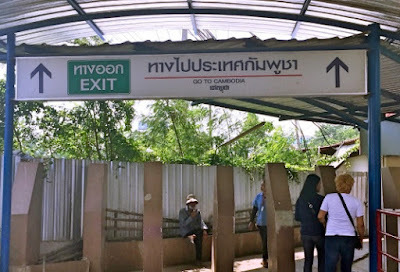 Bangkok, Thailand – Following the news last week regarding the closing of the Thai-Cambodian border that surprised many tourists and those holding valid visas, immigration officials made an update on the issue that will somehow give others a reason to smile about. According to Thaivisaservice.com who relayed the information to Thaivisa.com, immigration officials at Ban Laem/Daun Lem, Ban Pakard/Phsa Prum and Aranyaprathet/Poipet will allow Out/In stamps for “Westerners/Japanese/Russians” in possession of a valid double/triple tourist visa or multiple non immigrant visa. Unfortunately, people from ASEAN nations are still not allowed to have Out/In stamps even with valid visas. Out/In stamps for visa exempt entries are still not permitted for any nationality. As for Phu Nam Ron border in Kanchanaburi, no update still as of this writing. Previous Previous post: Why You Should Consider Teaching In The Province?